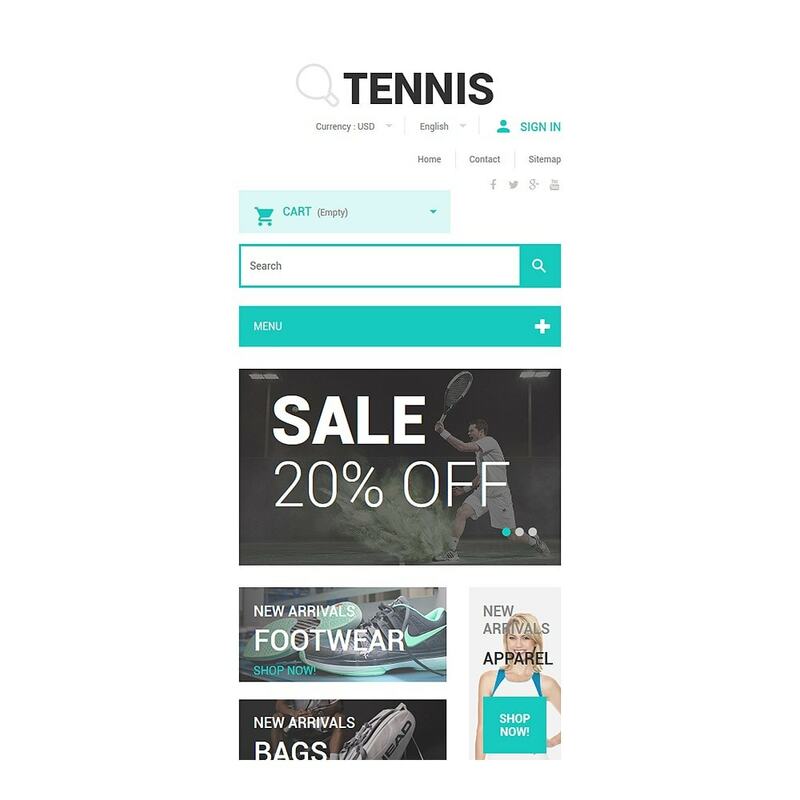 Check out this Tennis PrestaShop Theme that can be a great solution for your sports store. When hovering the featured products, call-to-action buttons and star rating appear due to a Quick View option. Banners are here to promote special discounts, new apparel and accessories collections. Large typography on them perfectly attracts the customers eye. 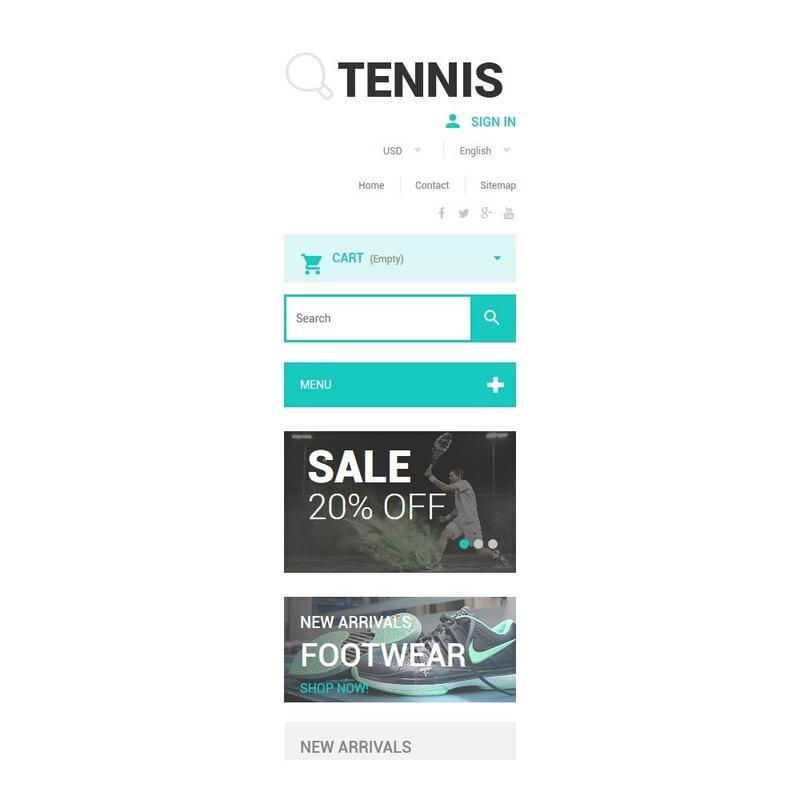 Visitors will be able to browse the products by clicking on tabs. With the help of Theme Color Switcher you can change the themes palette in just a few clicks. Subsidiary menu and contacts are placed at the footer. 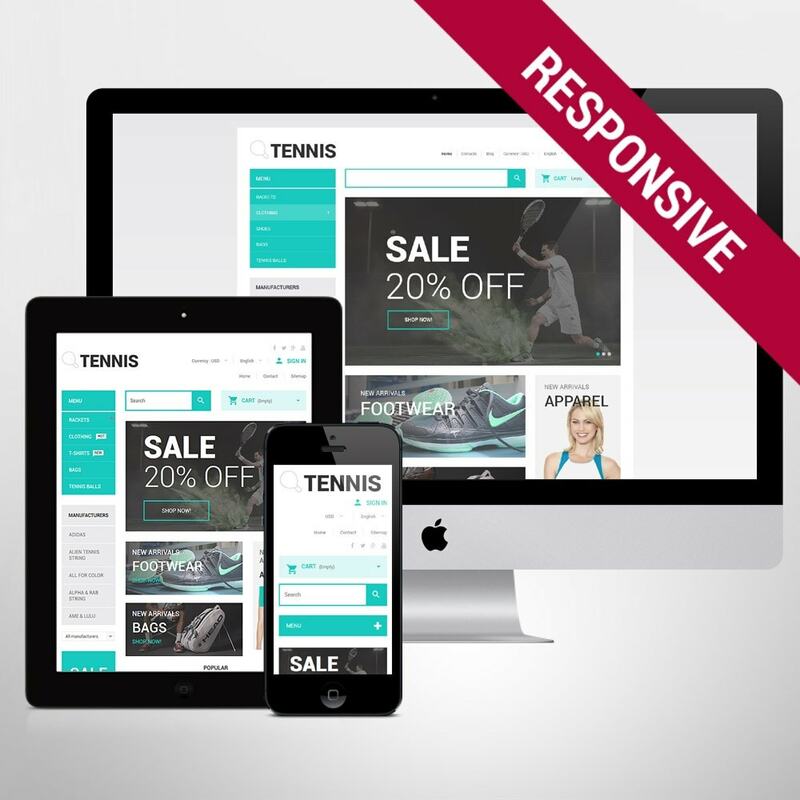 Thanks to a responsive design, the theme performs equally well on any screen it is displayed on. 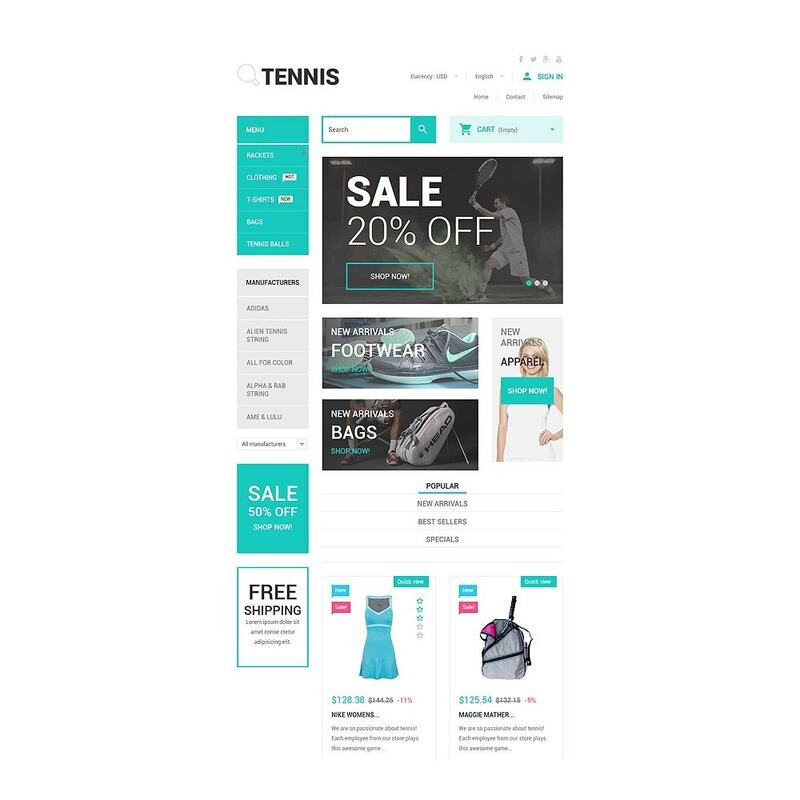 The theme is intended for sport, travel, tools and equipment, electronics, and gifts online stores.